Former Arsenal manager Arsene Wenger was reportedly overruled in his efforts to seal the transfer of Manchester United forward Anthony Martial this season. Calciomercato are among the sources at the moment stating that Martial could be available for transfer this summer after a difficult season at Old Trafford, and it’s emerged he was wanted at Arsenal. Despite Wenger’s wishes, Arsenal transfer chief Sven Mislintat, who joined the club earlier this season as head of recruitment, wanted the Gunners to sign Henrikh Mkhitaryan from the Red Devils instead, according to the Daily Star. It remains to be seen if this will prove to be the right choice by Arsenal, with Martial seeming in many ways the ideal attacker to add to this struggling squad. The France international has struggled for consistency at United but could be a more natural fit in the way Arsenal have played under Wenger and could feasibly look to continue doing under their next manager. Martial also has his best years ahead of him due to being much younger than Mkhitaryan, though the Armenian has made a promising start in north London. 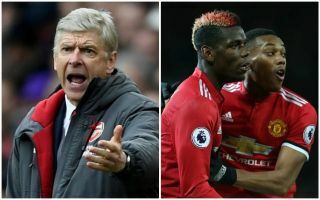 It remains to be seen if Arsenal could revive their interest under their next manager, but a left-sided attacker could be ideal given the poor form of the likes of Alex Iwobi and Danny Welbeck.